We know there are sometimes big differences between mono and stereo album cuts (eg Four Tops WTOYL and Smokey & Miracles TOAC). Seems like these very different tracks will be lost in time, though Keith Hughes has expressed a desire to release them if they can be found. The Beatles albums (and others) have been released with mono and stereo versions on the same disc. Aside from the expanded sets, which Motown CDs contain the mono and stereo albums? For sure, Marvin Gaye's "When I'm Alone I Cry" is one example (31453-0356-2) from 1994. What other official releases have received the same treatment? What is WTOYL and TOAC? I have difficult deciphering initials the older I get. For the last five minutes, I've been going through each group's catalogue of songs to figure out what those letters stand for. Great topic. Thanks. Last edited by TomatoTom123; 01-27-2019 at 05:53 AM. Damnit I typed the wrong tears-related Miracles song!!! Literally just realised, went to correct it, and you beat me to my own mistake xtown. Aside from the Expanded/Deluxe Editions of albums by The Supremes (or The Marvelettes' Forever More box set), I can't think of any official releases where the mono & stereo versions of an album were combined on one disc (except for Marvin's When I'm Alone I Cry and the upcoming Tribute To Nat King Cole digital release). Would love to see more of the different mixes of Motown album cuts come out so I hope that Keith Hughes gets his wish. I'd love to have Mary Wells My Guy album in mono. Alongside her pop hits, she sounded great singing standards. I'd like the Marvin and Tammi duet albums in mono. Whilst, as far as I know, the vocals are the same for the 2 formats, the mono mixes are more vibrant - just compare the mono and stereo Two Can Have A Party and You're All I Need To Get By. So true. The mono version of "Give A Little Love" is almost staggering in how much more intense it sounds. Not sure of the technical aspects, but I'm thinking use of some kind of compression really brings EVERYTHING out much clearer and sharper. For example, when the Andantes come in, you can hear much more clearer how they aren't singing "ooooohs", but "HHHooooooohs" I mean you can practically hear the air coming through their vocal chords as they sing. Also, there is a part just before the fade where Marvin and Tammi finish a line, pause and just before they come in again, you can hear someone sort of sigh or exhale. This is already a heartbreaking, tear jerker song, but in mono it REALLY plays on your emotions all the more. I’d be happy just to get the mono versions out there. For instance, the mono version of “Four Tops Reach Out”. I have both mono and stereo albums on vinyl, and the only time I ever play the stereo album is to remind myself why I don’t play it. It opens with what is possibly the worst ever Motown stereo mix. This is a mix that slaughters one of THE Motown classics. The album then goes on to give us a version of “Walk Away Renee” with that piano. That’s the piano that was wisely dropped from the mono mix and that totally changes the feel of the track from soul to schmaltz. We need those mono mixes out there to show just how good Motown really is. Since there’s now a generation that probably doesn’t know what stereo is but still gets the feel of music, perhaps this is the time for a change of release strategy. A few more years and there’ll be no-one left to make it happen. I do wonder if the mono mixes of these albums could be available for download only as the artists we are talking about do not seem to feature in the thinking for "deluxe" or "expanded" editions of the associated albums. As mentioned above, the mono version of Give A Little Love is a great example of what we are missing out on. I only have this version from buying the song off iTunes. There must be loads of songs where the mono version is far superior which many of us die hard fans would love to own. The Motown albums that are available online (from either iTunes or Amazon Digital) are in stereo only at this time (except for the Supremes' Deluxe Editions which have both the mono & stereo mixes). I'd love to see the mono versions of Classic Motown albums online (and I would pick a lot of them if they were available). My favorite was the mono version of "Supremes A' Go Go". It was probably the first Motown album I ever received. When the stereo versions of lps became available (for a dollar more), I was able to trade my mono version of A Go Go with a friend up the street for the stereo version. Sound wise, wrong choice. I had now traded in my wonderful mono version of "Baby, I Need Your Lovin'" where at the end there's the lead being sung over a just a bass guitar riff. The stereo version had so much more going on (where it should have been 'less is more'). For so many years I searched for the mono version of this track, and was not able to come across it until I purchased the Deluxe version of the album just a while ago. So that is my long winded explanation of my rare preference of mono over stereo. While I agree that some tracks (especially early stuff) can sound a bit dodgy in stereo, I always prefer stereo to mono, regardless. Mono just always sounds inferior to my ears. I only import the stereo versions of albums from CDs, as in the Supremes expanded editions. I guess what I'm saying is that I wouldn't buy expanded editions of albums just to pick up all the tracks in mono. I have a copy if the alternate of WITHOUT THE ONE YOU LOVE but I had an accident a while back. Wish super glue could help. It's a great version. I can't bring myself to part with it. There must be loads of songs where the mono version is far superior which many of us die hard fans would love to own. I know there are more examples in which Motown's mono and stereo versions are quite different, but the ones I listed above are the ones that used to thrill or annoy me the most back in the day. Last edited by Philles/Motown Gary; 01-28-2019 at 01:30 AM. So it seems that the only CD that fits the bill is Marvin's WIAIC as mentioned in the original post (aside from the expanded sets). What about, then, on separate CDs? For example The Isley's Bros UK Anthology used original mono album masters for TOHOM and SOTR albums whereas the twofers used stereo versions (as presumably did the individual album CD releases). While I agree with most of your list, I couldn’t disagree more about this one. To me the me the mono version of Itching is dull and lifeless, almost as if there is a complete musical element missing... like part of the band forgot to play. I’ve always thought the stereo version was more active and alive. I would have preferred even more percussion behind the kazoo. I especially like the extended versions on A Go Go Expanded. Is the hit medley version to which you’re referring from the expanded Supremes/Tempt CD? While most of the mono mixes other than itching are better mixed than their stereo twins I almost always default to stereo anyway because of the FAR superior sound of anything stereo over anything mono. The exception is when I put on actual 45s, not their digital clones. For some reason if I want to hear something in mono I go back to the 45s. For whatever reason the difference between mono and stereo digitally makes stereo even more preferable to me. If ever a stereo version of song needed ditching at birth, for me, it has to be There's A Ghost In My House. The stereo version has a dreadful intro and none of the immediacy that the mono version has in abundance. The stereo version of 7 Rooms Of Gloom also sounds weak in comparison to the mono version. There is an additional instrument (distorted handclap?) that adds nothing which, for example can be heard when Levi sings "Don't make me live from day to day...."
Then there's the totally weak stereo mix of Going Down For The Third Time. "Save me Save me", Diana too prominent and overall drive of the song turned down. Is the hit medley version to which you’re referring from the expanded Supremes/Tempt CD? Thanxal, The Supremes "Medley Of Hits" originally appeared on The Supremes "Superstar Series" LP - the album on which Side 1 contained the "Medley Of Hits" and Side 2 was a mini-Greatest Hits collection containing about 6 studio tracks. "Medley Of Hits" was a medley containing snippets from SIX Supremes (Diana, Mary & Flo-era) songs – all of which were remixed with new electric bass lines and new drums, and, as mentioned above, an extended version of "Love Is Like An Itching In My Heart" (the Mono version stereo-ized without the kazoo) with a long instrumental break featuring hot handclaps. The "Medley Of Hits" was also released by Motown as an official 12" Disco Single. I remember it filled the dance floors quickly whenever the DJs spun it! The Supremes "Medley Of Hits" has also been included on various Diana Ross / Diana Ross & The Supremes Extended CDs, but I don’t have time to check which ones at the moment. I’ll include a YouTube link in the specialized Diana Ross & The Supremes thread above. To round out our conversation, I was tempted to include the YouTube link here but then decided against it, so as to not ruffle any touchy, overly-emotional feathers. I think the medley also appears on the DIANA DELUXE cd. Oh, that one. Yes that is a very good version. The Superstar Series is also on CD. Yes, it is on CD, thanxal, but when I searched through my Motown Playlist which lists every Motown track that I own in my CD collection, the only version of Supremes "Medley Of Hits" that came up was the "Diana" (Expanded) CD, which Reese mentioned above. As you said, I know for a fact that it's on The Supremes "Superstar Series" CD, and possibly even more Supremes or Various Artists Disco CDs, but, for whatever reason, my word processing searcher isn't recognizing it. All it takes is for one hieroglyphic to be off to cause a mismatch. I'll have to check later when I have more time. It's either a typo, or I inadvertently titled it Hits Medley instead of Medley Of Hits. Senior moments have caused guilt regarding both types of errors! Last edited by Philles/Motown Gary; 01-28-2019 at 01:14 PM. That's interesting. I didn't know that mix was on anything but the Superstar and Diana Expanded CDs. The DRATS medley of hits (which had additional drums etc and ran almost 10 minutes) was on the Superstar CD and the Diana extended set for sure. There are other medleys too - Diana Ross "All The Great Hits" has a medley that runs to over 15 minutes of segued tracks. Then there's the "Hits Medley" on their "Lost & Found Supreme Rarities" set which runs at around 4 minutes. Plus other live medleys from their shows of course. 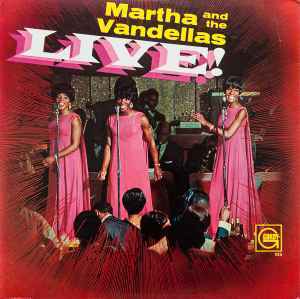 And another good example of the mono/stereo conundrum for Motown in the '60s is Martha & the Vandellas Live! LP (which features different live performances by the group between the two mixes). I'd still like to have a mono "Make It Happen" on CD with the early "Tears Of a Clown" and that elusive mono "Four Tops" with the different "Without The One You Love". There's also an alternate of "It's A Good Feeling" with a cool Jamerson bass line on the stereo Make It Happen/TAC album, an alternate vocal of "It Hurt Me Too, and an alternate mix of "I'm Crazy 'Bout My Baby" on the stereo Marvin Gaye Greatest Hits (first one with the gold cover and green lettering). I think it's been discussed before but there's also an alternate of Brenda Holloway's "Too Proud To Cry" on the stereo Every Little Bit Hurts album (pales in comparison to the mono). I'm sure there's many more. Let's keep it going! I suppose an obvious example of mono v stereo albums on different CDs are Mary Wells' Motown issued albums "The One Who Really Loves You" and "Two Lovers" and the ACE twofer of the same albums in mono. Of course there's quite a difference in mastering and sound quality between them. The Motown Box was a 2005 joint project between TJ Lubinsky and UME. Many of the cuts on the 4-disk stereo box were stereo mixes of the mono singles. Some were original stereo mixes that never saw the light of day and others were fresh mixes. The original mix of My World is Empty Without You found its way on this set. I felt that many of the cuts, while capturing nuances of the singles that weren't carried over in stereo mixes lacked the crispness of the known stereo mixes. The lone song on that collection that really appealed to me was the stereo version of the mono mix of Brenda Holloway's "Just Look What You've Done." The original stereo mix is fine, but it's not a "HOT" mix like the mono 45. For one thing, the vibraphone is really brought way up in the mono mix, while the stereo buries it more or less. Drums are crisper as well, on the mono mix. I was surprised by this new mix on the "BOX" set. One album where the mono mixes are VERY different from the stereo mixes is the Isley Brothers' Soul On The Rocks. Play those albums back-to-back and it's like night and day. The mono mixes of the two Isley albums on their Motown Anthology set are great (but "There's No Love Left" seems to be in stereo for some reason). Otherwise, yes, a good comparator to their stereo UK twofer of 2002. Another example of a Motown Mono version being far superior to the Stereo version is Gladys Knight & The Pips' "It Sould Have Been Me" in which the soulful string passages of the Mono version are removed and sorely lacking in the Stereo version. I remember like it were yesterday, when I first bought Gladys' "Feelin' Bluesy" (Stereo) LP in 1968 and was playing it for the first time, I thought that one of the channels on my Stereo system had temporarily cut out, taking "It Should Have Been Me's" strings with it! When I figured out that my stereo was playing fine, I couldn't imagine why Motown would intentionally do that. It's like purposely leaving out an important ingredient of a beloved family recipe which makes no sense whatsoever. Just thought of another case where the mono is uniquely different from the stereo mix: The Miracles' "(Come 'Round Here) I'm The One You Need." I like the mono 45 version. That's the one that to me, sounds much better than the stereo mix with Smokey's sorta over-the-top, hellbent performance. Figures I'd prefer the mono. I think I read here at one point Smokey preferred the vocal take that was on the stereo mix. Yes Smokey does go over the top a bit on that stereo version. As for Gladys it's the version of ISHBM without the strings that I much prefer (as per the UK single). Regarding the Pips version of ISHBM, just to jog our memories, the Greatest Hits stereo mix had the strings on it. I like Norman Whitfield's Mono single mix, but it's nice to have a stereo version with the strings not mixed out. Last edited by bradburger; 02-05-2019 at 07:36 AM. If you fold down the version of "There's No Love Left" on that CD into mono you'll find that it is the mono mix. Ditto with TOHOM, wherein it appears in stereo on that CD in amongst a lot of mono tracks. I don't quite know why, but both sides of the original TOHOM single actually consist of stereo mixes folded down and re-EQ'd etc. Having said that, these are not the standard stereo mixes either. I've never seen them anywhere else unless folded down. You're right, Boogie! This is the version with all the ingredients -- and THEN some! Where did you get that intro? It fits perfectly, but Motown didn't add that, did they? It's gotta be something that you or another fan added. Right? Paul, I didn't buy Gladys Knight & The Pips' "Anthology" CD because, to my knowledge at the time, I already had every track on it from GK&TP's other CDs. When Motown releases 3 or more mixes of the same song, they start to lose me. 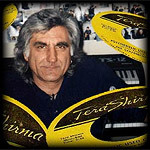 Unless a particular mix is really unique with a totally different musical arrangement, it becomes confusing and just too much of the same thing. But, if the version you're referring to is the one that Boogie attached (above), I like that one! The only one I dislike is the Stereo version without strings from "Feeling Bluesy" LP/CD. Yet another example of Motown's stereo version being different from the mono version is Diana Ross & The Supremes "Forever Came Today". The mono version contains back-up vocals from the very beginning of the first verse. As soon as Diana sings, "There you were....", the mono back-up vocals immediately chime in with, "Ooh-ooh-ooh-ooh-oooh. In the stereo version, however, the back-up vocals don't enter until the first chorus with Diana's "At last", followed immediately by the back-up "oooh, at last, at last". Last edited by Philles/Motown Gary; 02-06-2019 at 03:45 AM. You learn something all the time don't you? Great info thanks. The Temptations ALL I NEED. One version the background vocals come in when David does, the other, the vocals come in a couple lines later. A number of late 60s hits with strings and chorus had one or both elements stripped back and introduced layer by layer for the mono mix. For instance “My Whole World Ended (The Moment You Left Me)” by David Ruffin, “Ain’t Nothing Like The Real Thing” by Marvin and Tammi, and “For Once In My Life” by Stevie Wonder. Often in these cases, once the full arrangement has been heard, the single mix can sound a little lacking to my ears. The track that bucks this trend to my ears is “Who’s Loving You” by The Jackson Five. The full arrangement is over-the-top embellished to the point of ruin.